Practical advice for applying advanced analytics in hospitality and gaming. 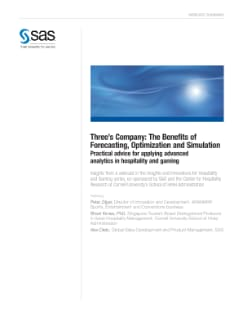 This paper presents insights and practical advice from a webcast on applying advanced analytics in hospitality and gaming. It describes where advanced analytics can have real value in the industry from forecasting and simulation to optimizing results by choosing the right path.